Were you recently in a rear-end car accident, or “fender bender?” If so, then you know these are not minor accidents. Even though they tend to occur at low speeds, rear-end collisions can be frightening. They can also result in serious, painful and fatal injuries. If you believe another person’s negligent or reckless driving caused your rear-end crash, you should take immediate steps to protect your legal rights. Contact Neblett, Beard & Arsenault today. You can call 800.256.1050 or connect with us online. We have experience with handling a wide range of personal injury claims throughout Louisiana, including those involving rear-end collisions. We can get to work right away on seeking the compensation you deserve. At Neblett, Beard & Arsenault, our goal is to prepare the strongest case possible for a settlement demand or for the courtroom. We believe this requires a thorough investigation and aggressive representation. Alcohol or drug test results of the other driver. In many rear-end accident cases, fault can be clearly established (and often lies with the driver in the rear vehicle). Often, the issue is how much you are entitled to recover. We can deal directly with the insurance companies for you and seek a full and fair settlement of your claim without the need to go to court. In many cases, we can obtain a settlement without even needing to file a lawsuit. However, if we must go to court, we will be ready to present a solid, carefully prepared case on your behalf. While your personal injury case is pending, we can help you with filing claims for the repair or replacement of your vehicle. We can also make sure that you receive the medical care you need for your recovery. We believe that car accident victims and their families deserve that highly dedicated, individualized legal service and close attention to their needs. WHY DID YOUR REAR-END CAR CRASH OCCUR? Every accident is different. However, in rear-end crashes, driver distraction tends to be a common cause – specifically, distraction of the driver in the rear vehicle. Using a cell phone to talk or text. 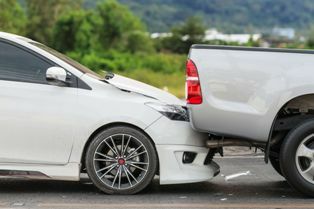 For this reason, we make obtaining cell phone records and investigating other potential causes of distraction a priority when we examine rear-end crashes on behalf of our clients at Neblett, Beard & Arsenault. Fails to completely get off the road when dealing with a breakdown. A driver in the front may also be responsible for taking a car on the highway with defective tail lights or brake lights, which can prevent the driver in the rear from seeing the car or noticing when it stops or slows down. WHAT CAN YOU RECOVER IN A REAR-END ACCIDENT CLAIM? Traumatic brain injury (including concussions). Additionally, you have the right to seek the recovery of any wages you have lost and any diminished ability to earn income in the future due to your accident-related injuries. You may also seek compensation for your mental and physical pain and suffering. At Neblett, Beard & Arsenault, our goal will be to seek the maximum amount in compensation for you. We can review all insurance policies involved in your case, including the at-fault driver’s liability coverage and any uninsured motorist/underinsured motorist (UM/UIM) coverage available through your own insurance policy. Never accept a settlement offer from an insurance company – or even give a recorded statement to an insurer – without first talking with an attorney. You don’t want to agree to a settlement that fails to justly compensate you or say anything that may be used against you.